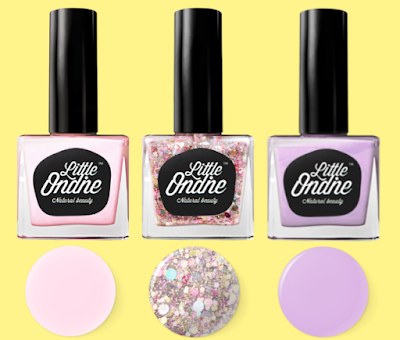 Little Ondine is a new, natural nail polish which is completely unique, they believe that Little Ondine will change women's daily routines across the world, their nail polish can be painted and peeled off in seconds. Peelable - no removed needed. Natural - composed of water, resin and minerals. Available in 86 different vibrant colours. LComposed of natural resin, organic colourants and water, they've sources the best minerals from around the world to bring you a pure organic colour that gives it a smooth texture whilst hydrating your nails. Using only natural elements, Little Ondine doesn't have a toxic smell unlike other standard nail polishes. Now you don't have to be afraid to offend anyone when applying your nail polish anytime and anywhere! WIN three shades of Little Ondine in the following shades (pictured above). Please note: You must at least follow/like Unique Young Mum and Little Ondine on at least one social media platform! To find out more about Little Ondine and to view their full colour range, check out the official website here.